Just love The Wizard of Oz? 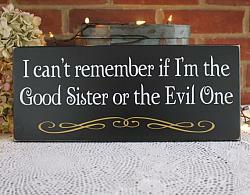 Find funny sayings, quotes and sentiments based on this favorite story. 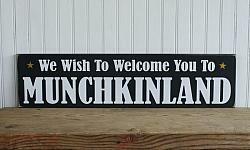 Wood painted wall signs based on Dorothy, the Wicked Witch, the Tin Man, the Wizard. 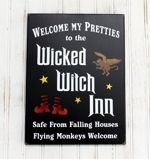 Flying Monkeys and more can be found here at The Country Workshop. Handcrafted, painted wall decor for your home and work place.